Why we created this eBook? 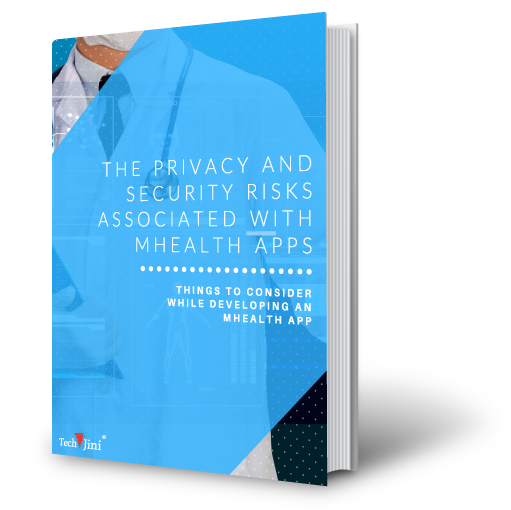 After developing numerous mHealth apps for healthcare clients around the world, we realized that there is a dearth of information about security and privacy loopholes. This book is grounded in extensive research done by various healthcare, cybersecurity and app-development experts over the last 4 years. With rapid evolution in IT, it has become more critical than ever before to stay on top of privacy and security concerns. Scope and importance of mHealth apps in healthcare. Common privacy & security concerns/risks and how to address them. Popular violations and mistakes commited during development stage. Data storage in mHealth apps & how to trasmit/process PHI. Numerous actionable tips, best practices and so much more! Get your free eBook now!